Aftermarket – Reliance offers spares, repairs, refurbishment and upgrade services in support of current production products and those reaching end-of-life. Reliance offers spares, repairs, refurbishment and upgrade services in support of current production products and those reaching end-of-life. Each service package is tailored to the needs of individual customers, to match their own aftermarket service commitments, their organisation and their operational processes. Packages are designed to be flexible, recognising the need to be responsive to changing demand. Effective spares availability is an important factor at all stages of a product’s life cycle; especially for products with a long life span or for those markets which require extensive, long-term after-sales support. Reliance has introduced successful spares support packages, each of which has been tailored to suit the individual customer. Our aim is to establish a level of spares service to help our customers to support both their current and mature product lines. As such, spares provision can be linked to current production or developed as a standalone legacy package. We offer our customers a spares management service to support them across their product portfolio. We work jointly to develop the forecast requirements and build a plan to enable both companies to provision logistically to meet the forecasts. Our long-term approach to spares planning provides a practical framework to help deal with short-term changes in requirement and fluctuations in demand, which are often typical in a spares environment. By grouping products, customers make it possible for us to investigate similarities and common components. This helps secure a more cost-effective approach to manufacturing and assembly. Alternatively, we are able to respond to separate spares requirements on a case-by-case basis. Each spares support package is designed around the individual customer. We are able to provide spares in bespoke packaging to the customer’s own specification. We are able to despatch spares world-wide to where the customer needs them – not just to a single, central location – and can ship to any site, whilst billing to the head office. Different manufacturing and assembly strategies can be employed to support each customer’s required delivery lead times, for example stock holding for critical long-lead components or part-building assemblies. The required strategies flow through to our suppliers, whose requirements, operational logistics and contract terms will mirror our own. By working closely with our customers and mapping their forecasts alongside our own production scheduling system, we are able to re-schedule responsively if we see changes. This is made possible by our integrated software system, designed by our in-house IT team, which is an important enabler in our ability to offer a highly flexible spares service. It is this factor which helps us supply in quantities to match our customer’s operational requirements, rather than to a pre-determined production schedule. Critically, we provide fully tested products, which can be packaged to enable shipment directly to the customer’s end users, avoiding costly re-packaging, re-testing and re-shipment activity within the customer’s organisation. Our overall aim is to provide a tailored spares management package, in support of a range of products, under a longer term framework. Our customers benefit from a proactive, jointly planned approach, a cost-effective route for lower volume spares procurement, built-in flexibility to respond to short-term fluctuations in quantities and delivery dates, and the ability to adhere to their own operational logistics, not that of their supplier. The result is that each customer receives their spares where they want them, how they want them, and when they want them, and can order from a straightforward price list, with defined quantities and lead times. 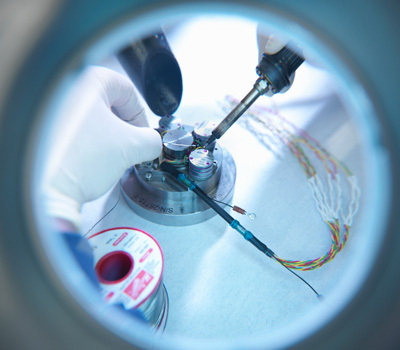 We offer a repair and refurbishment service for geared assemblies, scientific equipment, laser or other beam manipulation applications. 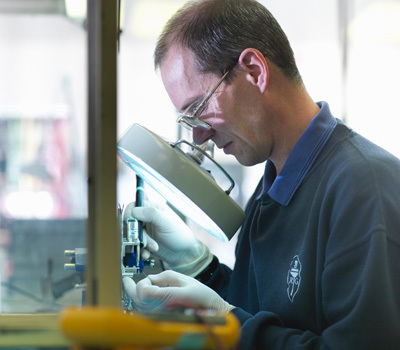 This service, which is closely allied to our Manufacturing and Assembly capabilities, enables us to undertake a variety of complex repair contracts by having access to manufacturing and assembly facilities in-house and from our established supply chain. Before we commence repairs, we first strip and survey the assemblies and provide a report to the customer to advise them on the extent of repair, refurbishment or upgrade required. We are careful to consider both the technical and commercial details in our assessment so that the customer can make an informed decision as to the viability of the repair or refurbishment. The assemblies are subsequently re-built, either with original parts from available stock or with new or refurbished parts, and tested to the appropriate specification. Testing can be to the customer’s original specification or, if requested, to the latest specification, thereby supplying a fully upgraded product. We are able to consider aftermarket repair and refurbishment of a range of assemblies, including those where we have had involvement in the design, manufacture, or those where original manufacture has been undertaken by a third party or by the customer’s in-house team. We have the depth of experience necessary to repair products which are no longer in production, as well as current products.